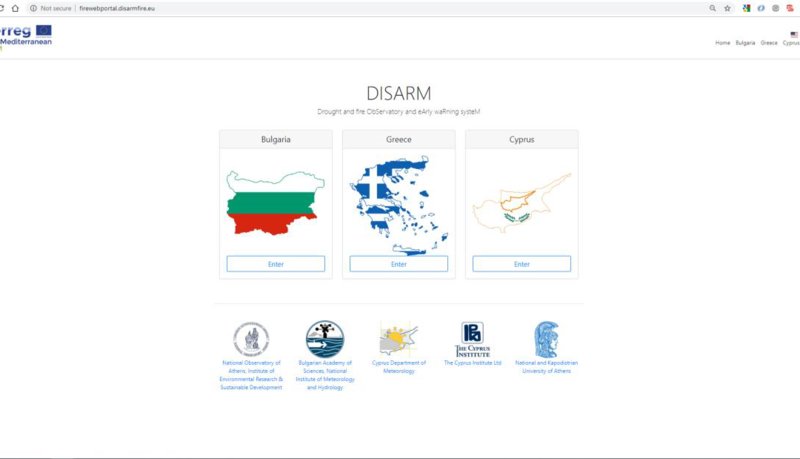 GET in the framework of the «DISARM – DROUGHT AND FΙRE OBSERVATORY AND EARLY WARNING SYSTEΜ» project of the transnational cooperation programme Interreg Balkan-Mediterranean 2014-2020 in which National Observatory of Athens participates, undertook the development of the project web site as well as the development of the Fire Web Portal, a web tool for fire warnings and alerts in the region of Greece, Bulgaria and Cyprus. 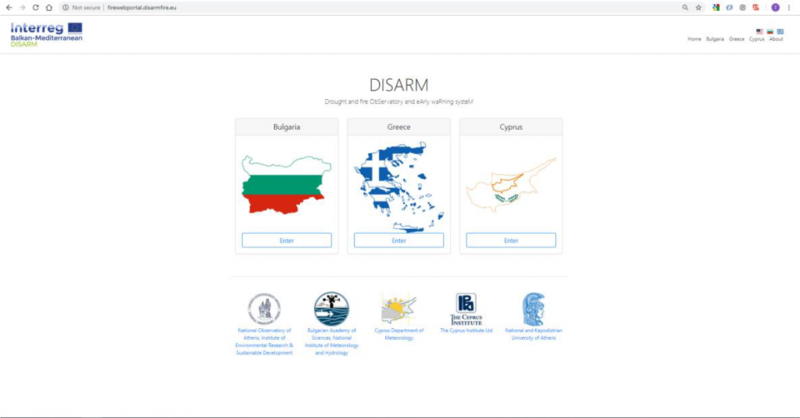 The web site contains general information about the project and the participants, news / announcements and content accessible only by the project partners. 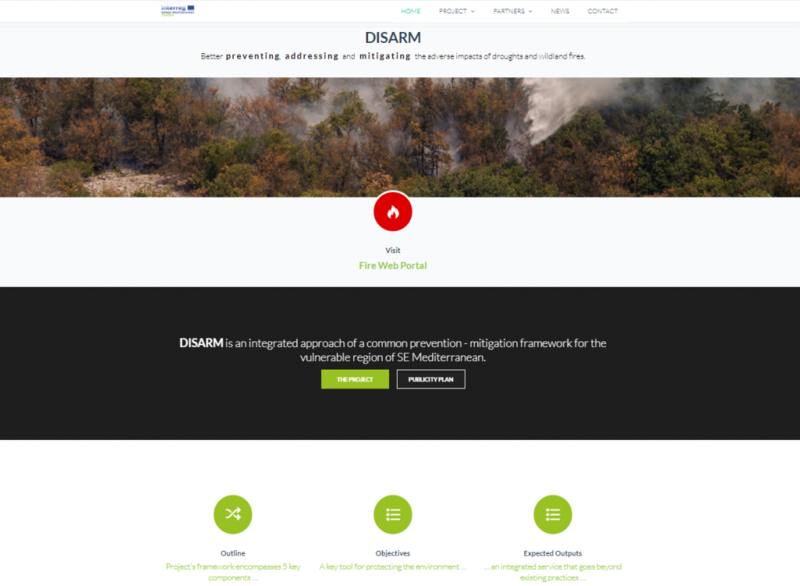 In addition, it provides also a link to the Fire Web Portal. 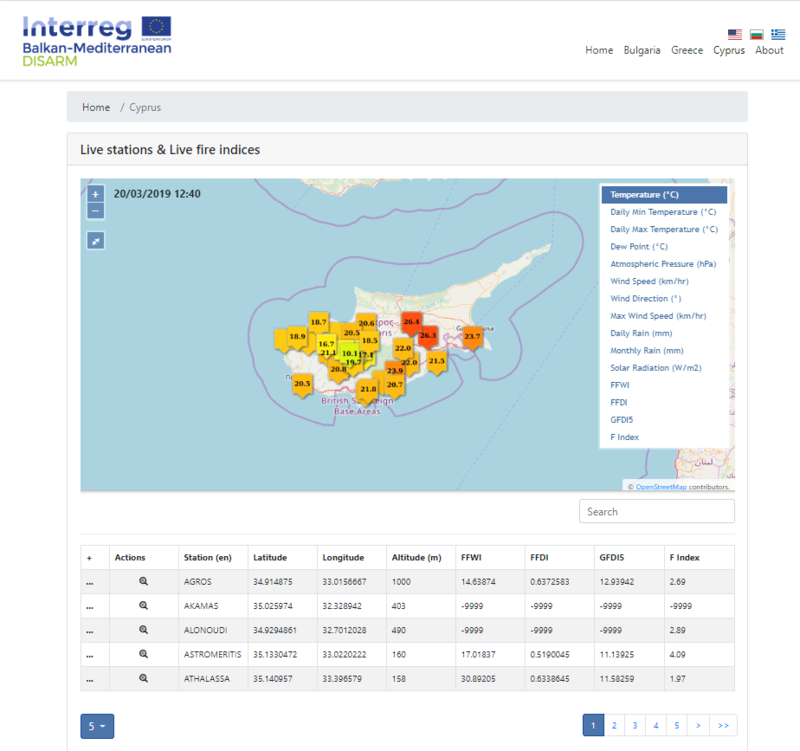 The web application provide access to near real time data from meteorological stations including parameters like: temperature, humidity, wind speed and direction, precipitation, atmospheric pressure, and solar radiation but also to fire related indexes like FFDI, GFDI5 and FFWI.